The Gunners have been average on their travels this season, but they have an opportunity to better their run of one away win since the turn of the year. Bernd Leno has recently improved his goalkeeping statistics with three clean sheets in the past four league games, and he is expected to feature once more against the Toffees. The defensive lineup should remain the same from the previous game with Laurent Koscielny still doubtful with a foot problem. As such, Shkodran Mustafi, Sokratis and Nacho Monreal should make up the three-man central defence with Ainsley Maitland-Niles and Sead Kolasinac in the wing-back positions ahead of them. 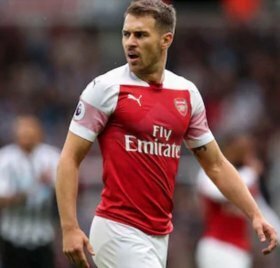 Likewise the midfield may witness no changes with Aaron Ramsey and Matteo Guendouzi taking up their respective positions. Lucas Torreira will be serving the final game of his three-match domestic suspension while Granit Xhaka remains uncertain with a groin problem sustained on international duty with Switzerland. In the attack front, a solitary change can be expected from the Newcastle United clash last time around with Alex Iwobi dropping to the bench. Mesut Ozil, who has become a regular of late, should take up the number 10 role with Pierre-Emerick Aubameyang and Alexandre Lacazette paired upfront in a two-striker partnership.